Seep di baaji, Pa Hukam de Begi ch Ikka.. Tera ne Banaune..
2.. Seep di baaji, Pa Hukam de Begi ch Ikka.. Tera ne Banaune.. Happy Frandship Day, Bikram :).Olympics kaise chal raha hai? Did you see any Indians win medals live? I am trying to catch as much action as possible on TV here! THank you rachna, olympics is going fine as long as one is not a indian team fan especially indian hockey fan. DI thank you so much. Paaji thank you toooo, and WOWO now thats a real honour you think that way .. I hope I stand up to that statement ..
happy friendship day to you too! Happy Friendship day to you too, Bikram! Be happy like this always! Oh, Paaji,Tusee Te Kamaal Dian Translation Kar Ditiyan.WAH..Maujan Hi Maujan. At this rate, we will learn good punjabi. BTW read your previous posts on English is a funny language and was reminded Ajay Devgn’s dialogues in Bol Bacchan. Totally hilarious. Glad … and proud… to have a friend like you 🙂 No two words there! Wishing you a lifetime of blessed and blissful friendship. Happy Friendship Day to you too Bikram! Happy friendship day Bikram. I always thought Punjabi was easy for someone who knew Hindi.. not true. What was special for the day?? Well I was away on 2nd aug, did not have much of internet access , moreover rakshabhandan is with sis around and mine is far away , so one day when we are together I will blog about it too .. Happy friendship day to you as well. Thank you mam, so much.. Thanks for the beautiful translation, Bikram, happy friendship day to you! 🙂 glad you liked it .. thank you thank you. Khush kitta, happy friendship day…! Happy Friendship Day Bikram, those were surely touching lines. Thanks so much for sharing them…they really add up to the joyous mood of the occassion!! Thank you ME. 🙂 you are always welcome glad you liked them…. Happy Friendship Day, dear Bikram.!!! And those were such beautiful lines..! Exquisite! me tooo mam, blessed to have friend like you..
paaji thank you, how are you doing. Wish you the same 😀 Stay happy, always!! I’m honored to be friends with you dear! Happy Friendships’ day to you too! So now you are in London, howz the atmosphere!!!!!! sorry for missing couple of your previous posts……!! you and your blog rock!! My friendship to you is everyday. You are a nice man…funny also. Thanks for sharing. Beautiful lines. Belated Friendship day wishes, Bikram. glad you loved the post.. 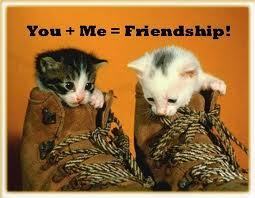 Happy friendship day to you too…i enjoyed your lyric in punjabi-very sentimental & TRUE! Happy friendship day…hope you have happy days always! Reciprocating greetings and wishing you plenty of joy! happy friendship day Bikram 🙂 tho a bit late. You seem to be a guy with incredible energy,effervescence and enthusiasm. I reciprocate your greetings on Friendship Day. 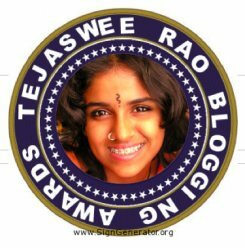 am so very lucky to have you as a good blogger friend ! Thank you so much.. and you learnt it well 🙂 God bless.. Thank you… 🙂 God bless you too..
and may I ask what stopped you from making a rap out of it? It got the material dude! Awesome lines, lovely to read Punjabi after long time 🙂 Good Wishes.